On June 25 Calcasieu Parish Sheriff’s Office deputies were dispatched to a local casino in Lake Charles in reference to a sexual battery. Upon arrival the victim told deputies she had just left the pool and was walking through the casino when a man she did not know, who was later identified as Michael B. Reyes, 34, AZ, grabbed her by the arm and then touched her inappropriately. She told deputies she pushed Reyes away and was able to get the attention of casino security. Reyes, who was detained by casino security prior to deputies arrival, was arrested and booked into the Calcasieu Correctional Center and charged with sexual battery. His bond is still pending. 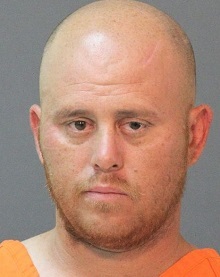 CPSO Deputy Cody Ferguson is the arresting deputy on this case.